A Norman butler and his assistants, (1910). During the early Norman Period (late 11th-early 12th century), the dress of the Saxons changed little. The English word butler derives from bouteillier, meaning cup bearer in Old French, which in turn came from bouteille meaning bottle. 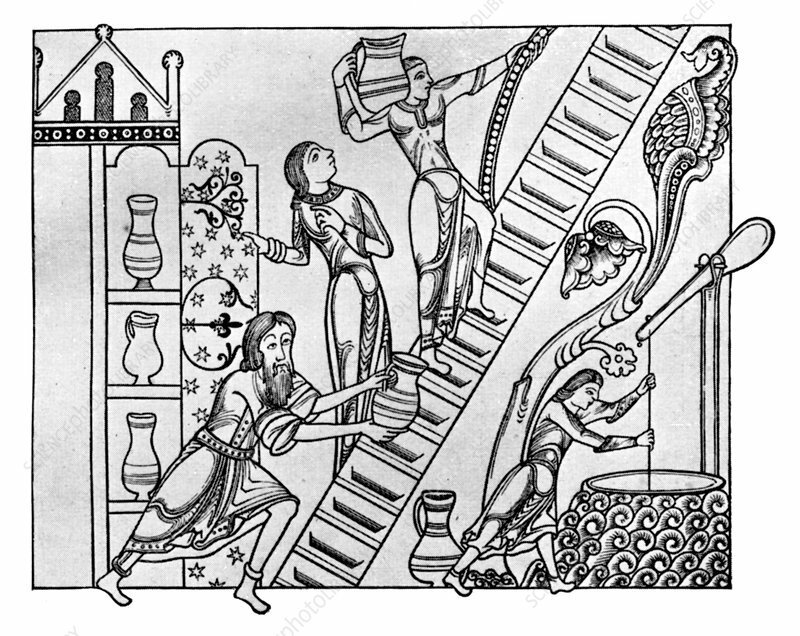 Here, a butler and his assistants carry jugs of wine upstairs in a drawing from a medieval manuscript. Illustration from British Costume during 19 Centuries by Mrs Charles H Ashdown, (London, 1910).